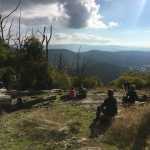 For Kate Southall, her startup hiking business – Hiked (www.hiked.com.au) – was something that has evolved very quickly. 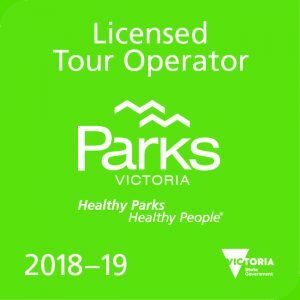 With all the hikes being conducted in the beautiful Dandenong Ranges, Kate says the concept really empowers her clients. 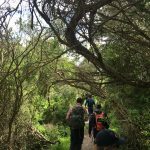 “I basically started offering the hikes, or the walks as I called them then, for free through my son’s school,” she says. “Once a week, every Tuesday, I ran a 5-10km hike and I’d have 3-6 mums coming every week and they were frequent. She says even when she spoke to the mums about the various tracks that connected with those areas, none of them had done them ‘because they were too scared to walk off the main track’. Furthermore, she says the feeling of having someone to walk with was a reason why those mums kept coming back. Continuing with the safety theme, Kate says the point of difference for her hikes is that she walks the track of a booked-in hike at least 48 hours before it commences. 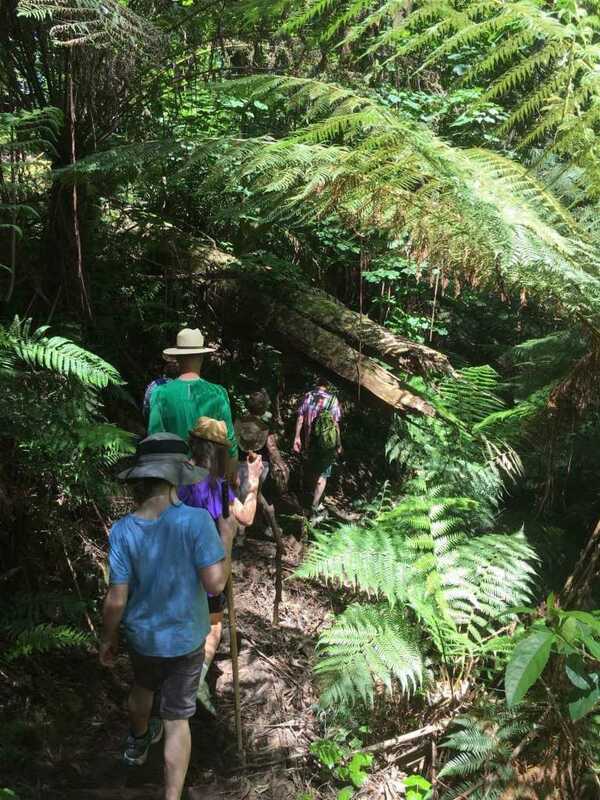 “I’ve walked trails over 50 times just to make sure that they are safe because the terrain up here in the Dandenongs changes overnight,” she says. She does this to alleviate any concerns her clients may have with regards to the condition of the trail or for their own piece of mind should they bring a friend along with them. Charging $15 for a 2-hour hike, and another $15 for every 2 hours after that, Kate believes her service is value for money in an industry that is typically expensive. Currently studying a double degree in naturopathy and nutritional medicine, and a personal trainer as well, Kate hopes that Hiked will be the start of something much bigger. “Ideally, I’d like to get some land up here (in the Dandenongs), build very simplistic complexes on it as a hiking meetup place. “There would be a masseuse on-site; a lounge area to warm your weary muscles and chill to talk about the hiked experience by an open fire,” she says. “There would also be infused herbal teas and juices to replenish and help recover and a range of nutritional advice as well. 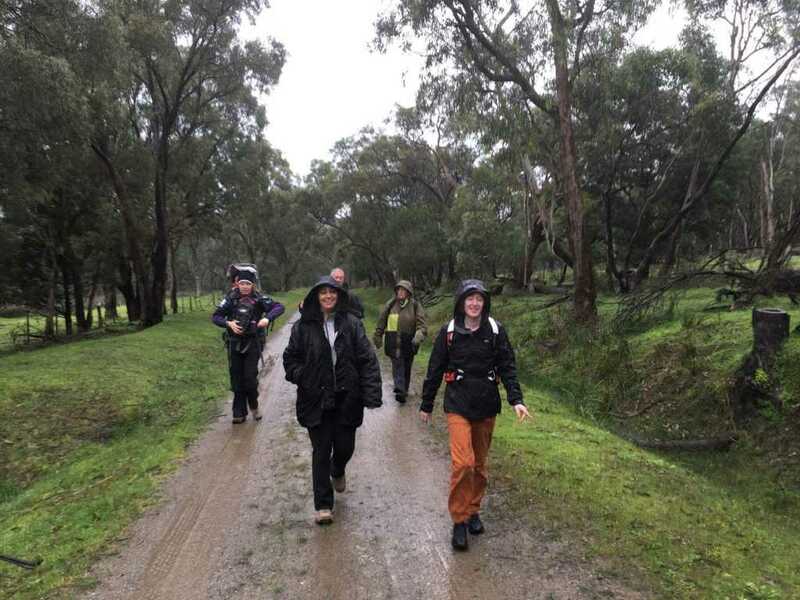 Furthermore, Kate says she would also love to branch out into multi-day hikes and use the centre as the starting point to drive out to places such as Healesville, Marysville and Gembrook. 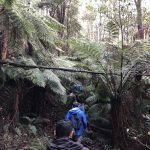 If you’re looking for a guided hike in the Dandenongs that is affordable, personal, caters for kids and adults, and is hosted by a really knowledgeable woman, look no further than Hiked. 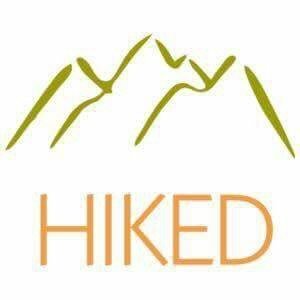 For all bookings and enquiries, check out the Hiked website here.